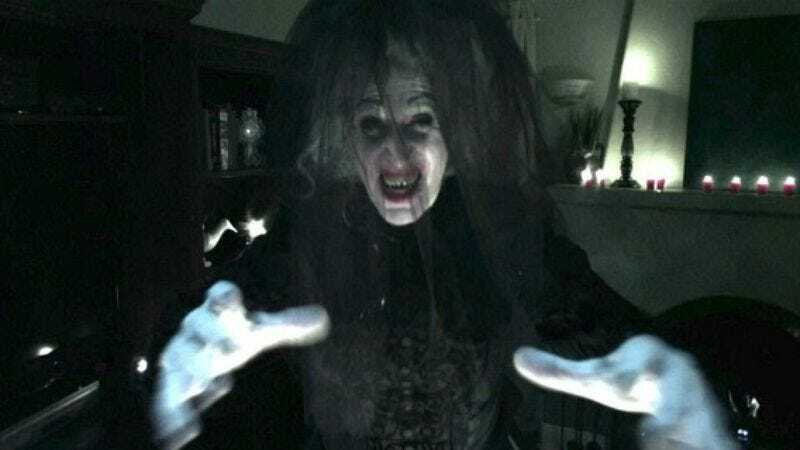 The first three films in Blumhouse’s Insidious series cost $16.5 million to produce and have to date generated more than $370 million worldwide. Which is to say, there’s going to be a fourth Insidious movie. According to Deadline, the horror production company and Universal Pictures have announced that Insidious: Chapter 4 will be directed by Adam Robitel—director of 2014’s The Taking of Deborah Logan—from a script by Australian filmmaker Leigh Whannell, who wrote the previous three Insidious movies and directed the third. James Wan, who was behind the camera for films one and two, will be onboard as producer, and Lin Shaye will once again reprise her role as parapsychologist Elise Rainier. The first two installments (released in 2011 and 2013) are about a family tormented by spirits from the astral plane after their son seemingly slips into a coma. Insidious: Chapter 3 (2015) is a prequel, featuring Shaye’s character helping a young girl who possesses the unpleasant ability to communicate with the dead. Insidious: Chapter 4 is scheduled to be released October 20, 2017, just in time for Halloween.